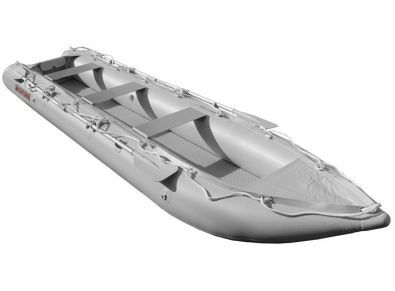 This new and revolutionary product, is a crossover between an inflatable kayak and an inflatable boat - KaBoat! It can be used as a regular kayak, just paddling anywhere you want, ocean, bay, river or lake. 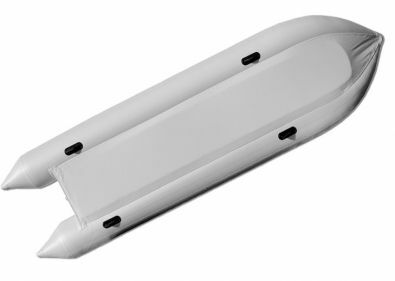 It can also be used with an electric or gas engine installed on marine grade plywood transom. 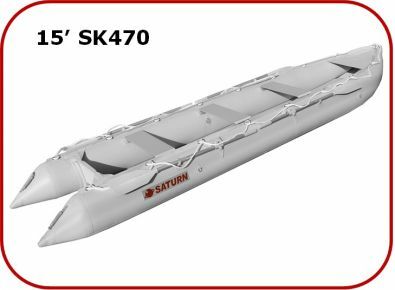 The 15' SK470 provides maximum space and comfort due to the larger distances between aluminum seats and extra space in the front bow. 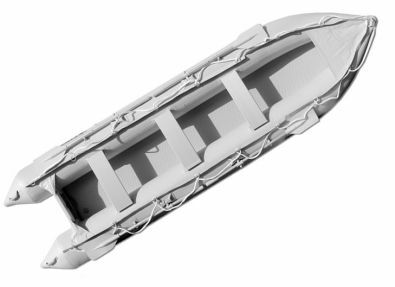 Its high buoyancy provides support for more cargo and passengers. Use the KaBoat as an inflatable boat with an outboard engine. It can take up to a 10 HP gas outboard engine or portable electric motor! If the battery charge or gas is low, then use as a kayak to paddle to your destination. You don't really need that big of an engine, even with a 3.5 HP engine, this boat will fly at 15-20 mph with 2 people. Also tested to run nice and quite with an electric engine with speeds of around 5-7 mph and runs 2-3 hours at full speed. You can also put an electric engine on at minimum speed to run for up to 6 hours, and use it as a "ride assist" while kayaking with paddles to your destination far away. All new SK470 KaBoats now come with 2(two!) sets of oarlocks in order to select best rowing position, or for attachments of optional second set of oars for tandem rowing. 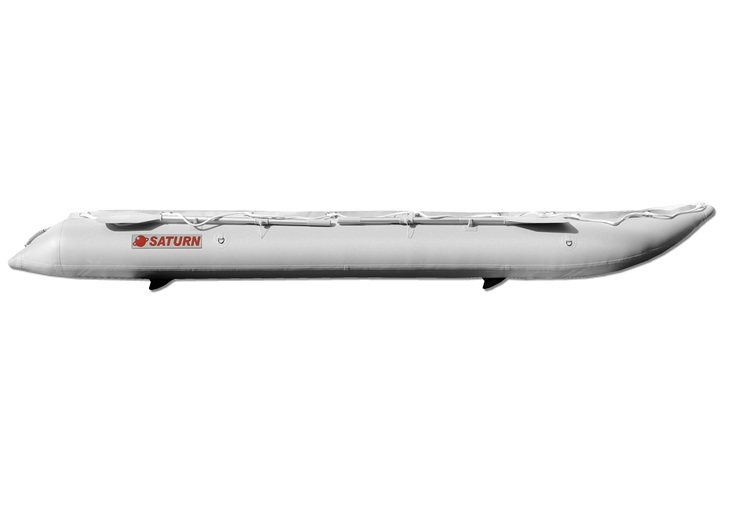 However, it still can be used as a kayak when navigation narrow or shallow places. The KaBoat is extremely portable and will fit in medium size bag. Now you can go on vacation and take the KaBoat with you along with an optional small electric or gas engine. The main benefit is that if you get tired of paddling, then you can use the engine to get back ashore. 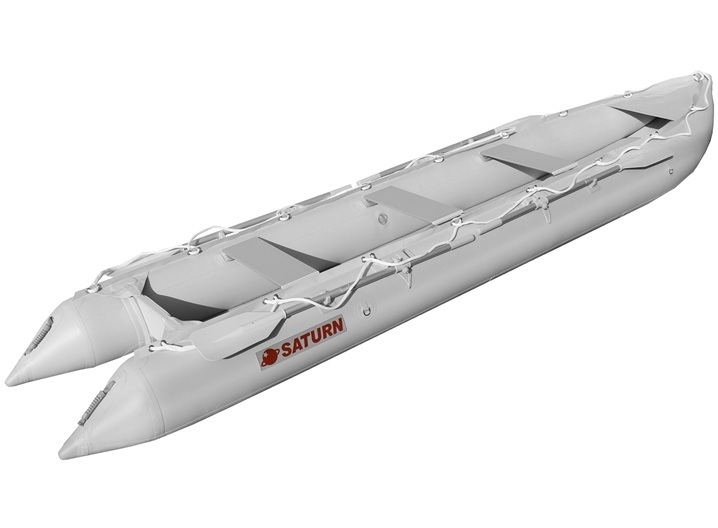 The KaBoat can also be used as a dinghy for yachts or sailboats to get ashore from the mainship. It is portable and takes up much less space then a regular dinghy. The KaBoat's exceptionally stable design allows you to stand, fly fish or even get into those narrow spots where other boats can't go to get the best fishing. Aluminum seats provide excellent support and can be customized by drilling holes and installing folding fishing chairs with a swivel base, or canoe seats for additional back support on a long trips.